» have banned people before? … and I knew that my advise might be very ‘risky’ in this context. 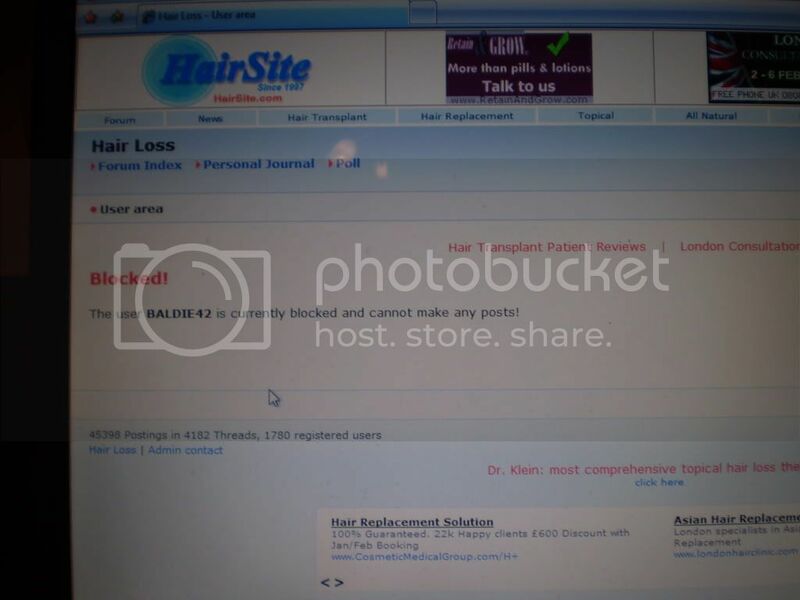 On one side, it’s surely not always easy to be an hair-loss-forum-admin these days. On the other side, it’s surely not easy for hair-loss-suffer-newbies too. So to speak, it’s a so called ‘dilemma-situation’. I’ve also been banned before (for the same reasons as BALDIE42). how about a no-warning ban for Nazi posters, would that be too demanding ? » how about a no-warning ban for Nazi posters, would that be too demanding ? So you approve of the death threats made by leeroy? As you are also a jew you might like them. Do you also support his constact insults to posters like roger_that only cause roger makes the intelligent comments leeroy can’t make? I am sure than when you say nazi you are not talking about me cause I know that Hitler was a jew working with the zionists to create Israel. Always the same people behind every disaster. » Always the same people behind every disaster. So, you talk about bugler’s bugling network? » you might like them. » cause roger makes the intelligent comments leeroy can’t make? » that Hitler was a jew working with the zionists to create Israel. » » you might like them. » » cause roger makes the intelligent comments leeroy can’t make? » » that Hitler was a jew working with the zionists to create Israel. » » Always the same people behind every disaster.